Best Jet Lag Cures 2019: What is Jet Lag And How Do You Cure It? You are Here: Home » Sleep Disorders » What is Jet Lag And How Do You Cure It? What is Jet Lag And How Do You Cure It? 4. Start to slowly and gradually adjust your bedtime. 5. Reduce stress in the days before your departure. 3. Relax and listen to soft, soothing music. Jet Lag Pills: Panacea or Placebo Effect? Also called desynchronosis (meaning “out of time”), jet lag can be one of the worst, and certainly one of the most frustrating, aspects of long-haul travel. Whether traveling on business or for pleasure, jet lag is an extremely common sleep disorder suffered by millions of travelers every day. In one recent survey conducted amongst international business travelers, as many as seventy-four percent of those who were questioned said that they suffered frequently from jet lag. Jet lag affects people of all ages, although its symptoms vary widely from person to person and they tend to increase in severity as you get older. The symptoms of jet lag also tend to increase if you already suffer from sleeping difficulties. The effects of jet lag also increase as the number of time zones crossed during your journey increases. A time difference between your starting point and destination of just a couple of hours is unlikely to present any real problem and you will probably experience little or no jet lag. However, once your journey crosses more than about three time zones you will begin to experience the symptoms of jet lag, which will tend to become more pronounced as the number of time zones increases. Jet lag results from traveling across multiple time zones, so that you arrive at a destination with a local time that is either several hours ahead of, or behind, your “home” time. For example, let’s say that you leave London at 11 o’clock on a Tuesday morning to fly to Bangkok. The flight takes twelve hours and you arrive in Bangkok at 11 o’clock that same evening, London time. However, because you have crossed several time zones the local time in Bangkok is five o’clock on Wednesday morning. By the time you’ve cleared the airport and taken a taxi to your hotel, it’s probably getting on for seven thirty in the morning and the guests at your hotel are starting to come down for breakfast. However, as far as your body’s internal clock is concerned, it’s still only one thirty in the morning and your body simply wants to crawl into bed. 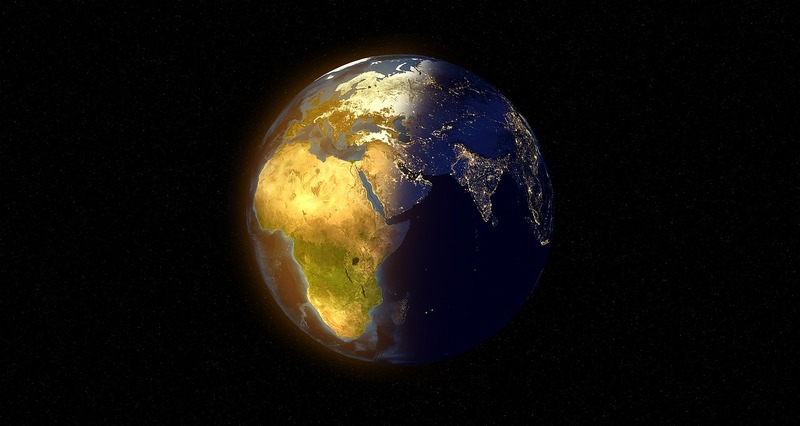 Your body contains its own internal clock which takes its time from the environment, responding to such things as temperature, humidity and, most importantly, the normal daily change from daylight to darkness. These environmental factors cause your own body clock to run, much like your mantle clock, on a series of twenty-four cycles, often referred to as your body’s circadian rhythms. Just as many aspects of our lives today are controlled by time today, so your body clock is also responsible for controlling many of your body’s functions. In particular, your internal body clock tells your body when it is time to shut down for sleep and when it is time to wake up and start the day’s activities. By crossing several time zones and placing your body clock out of balance with local time at your destination you upset the whole rhythm of your day, giving rise to such things as problems sleeping at night, keeping awake during the day and eating when you wouldn’t normally eat. This, in turn, results in jet lag. Ask any frequent long-haul flyer about his or her experience of flying and you will soon discover that everybody has a different “magic formula” for overcoming the effects of jet lag. 1. Establish a regular sleep pattern. If you are not already following a consistent bedtime routine (going to bed and getting up at the same time each day) your body’s internal clock will be upset even before you start your journey and your journey will simply act to increase the effects of insomnia induced by jet lag. 2. Ensure that your diet is both balanced and healthy. Diet plays an important part in ensuring that you get a good night’s sleep and an appropriate balance of whole grains, proteins, fruits and vegetables in your diet is very important. In addition, both alcohol and caffeine are two elements of your diet that are most important in relation to jet lag and you should reduce or, if possible, eliminate, these in advance of your flight. If, however, asking you to give up your twelve cups of coffee each day is rather like asking you to cut off your right arm, then simply try to limit your consumption to the afternoons between about 3 pm and 5 pm. Taking caffeine late in the day tends to speed up your body clock, while taking caffeine in the morning tends to slow it down. Taken during the middle of the day, caffeine has little or no effect on your body’s circadian rhythms. 3. Ensure that you are taking regular exercise. Taking regular exercise will improve the consistency, quality and duration of your normal sleep cycle considerably. Daily aerobic exercise, lasting twenty to thirty minutes, will go a long way towards preparing your body for your forthcoming journey. In the days prior to your journey you should begin to “manage” your body clock by gradually and slowly adjusting your bedtime and wake up time, so that you can bring both into line with the local time at your intended destination. For example, if your normal bedtime is 10 pm, and you are flying to a destination that is four hours ahead of your home time, at your normal bedtime the time at your destination will be 2 am. In this case, you need to gradually bring your bedtime forward a little bit (say fifteen minutes) each night for a week or ten days before you leave. This might mean that just before leaving you are going to bed at say 7.30 pm. However, when you arrive at your destination this will mean that you are now going to bed at 11.30 pm and that you have narrowed the four hour time difference to just one and a half hours. A frequently element in the jet lag equation is stress, much of which is a direct result of the journey itself. How many times have you found yourself running around at the last minute trying to do 1001 things all at once? Plan well ahead and make sure that, as far as is possible, everything you need to do, both at home and at works, is done well in advance of your journey. Complete as much as you can as early as you can and don’t forget to allow for plenty of time for relaxation in the days immediately prior to your departure. The secret to arriving at your destination with little or no jet lag, lies in sound preparation well ahead of your journey. This, however, is only the foundation of your plan to combat jet lag and all of your sound preparatory work will have been wasted if you don’t also ensure that you follow a sensible routine during your flight. Many people find that they can’t, or simply don’t want to, sleep during their flight. This is fine, although it will certainly aid your fight against jet lag if you can get some sleep. If you can’t, or don’t want to sleep, then you should at least make sure that you take the opportunity to rest. You should also try to plan your rest so that you will be aligned as far as is possible with the time at your destination. If, for example, your eleven hour flight arrives at your destination early in the morning, try to get some sleep during the second half of the flight. 2. Make use of natural sleep remedies. If sleeping during the flight presents difficulties, even with the use of ear plugs and an eye mask to help simulate nighttime conditions, you may be tempted to resort to the use of sleeping pills. Don’t give in to this temptation! A discussion on the rights and wrongs of using sleeping pills is beyond the scope of this article but, suffice it to say, that the use of sleeping pills during your flight will add to the problem of jet lag, rather than assist in reducing its effects. There are however many natural sleep remedies available today which can provide an effective solution. Of these perhaps chamomile and lavender, often taken in the form of a tea, are the most well known. If you find that these don’t work, then a slightly stronger and excellent alternative would be either valerian root or melatonin. In addition to trying to sleep, you should also take some time to listen to soft, soothing music rather than watch the often “action-packed” in-flight movies. Better yet; try some form of gentle relaxation or meditation exercises. This will not only help to lessen the effects of jet lag but will also help maintain a normal level of blood pressure and good circulation throughout a long flight. Although it often seems simplest to just stay in your seat throughout the flight, getting up occasionally and walking around the cabin will refresh your body and promote both mental and physical activity. Even a small amount of exercise, particularly for your legs, will also help prevent the possibility of clots forming in your legs – deep vein thrombosis. The environment created inside the aircraft cabin by both pressurization and forced ventilation can result in dehydration and so it is very important that you keep your fluid levels topped up. Drink plenty of water or fruit juice, but avoid tea and coffee and other caffeinated drinks. You should also steer clear of carbonated drinks and alcohol. One part of the secret to arriving at your destination refreshed is to ensure that you rest and relax during the flight and that you avoid stimulants. Taking the simple steps outlined here will certainly go a long way towards preventing jet lag. With the best preparation in the world before your departure, and having followed a few simple precautions during your flight, you will inevitably still suffer the effects of jet lag, unless you also continue your “jet lag plan” after your arrival at your destination. Here, however, we need to sound a word of caution. A common problem with jet lag for many people is that its true effects are not immediately apparent and it may take a day or two to “catch up” with you. Also, the excitement of arriving at your holiday destination, or for an important business meeting, often tends to mask the symptoms of jet lag. So, if you arrive at your destination feeling on top of the world and throw yourself into your holiday or business trip – beware! Jet lag will almost certainly creep up and hit you on the back of the head just when you are least expecting it. If your destination is in a time zone that is behind the time back home it is often said that taking a nap shortly after your arrival is helpful. This is, however, not advisable, unless you really feel that you cannot cope without sleep. If this is the case, take only a short nap lasting no more than about forty minutes. The best cure for jet lag, and its accompanying insomnia is to stay awake until the normal bedtime at your destination and, thereby, immediately begin the process of adapting your internal body clock to its new environment. If you arrive at a destination that is ahead of your home time then try to sleep through as much of the night as possible, even if your body still believes that it’s the middle of the day. Here the use of natural remedies such as herbal teas, as well as a warm bath, aromatherapy or relaxation, and meditation exercises can be very useful in triggering the body’s natural sleep cycle. Light also plays an important role in reducing the effects of jet lag and you should try to expose yourself to as much daylight as possible during normal waking hours. If you arrive at your destination during the day avoid the temptation to sit and rest in your hotel room or lounge and get out and about in the daylight until it’s time for your normal evening routine. You should also continue to pay careful attention to your diet. Eating and drinking to excess are often seen as a normal part of any holiday or business trip, but avoid over-indulging in the first two or three days after arrival. In particular, limit your intake of caffeine and alcohol, as well as other stimulants. Finally, don’t forget that your body needs regular exercise. Taking daily aerobic exercise for at least twenty minutes (even if that’s only a brisk walk back to your hotel rather than a taxi ride) is an important part of any plan to overcome the effects of jet lag. Your body is regulated by an internal clock (sometimes referred to as your body’s “circadian rhythm”) which relies on a variety of environmental cues such as daylight and temperature. Travelling across several time zones upsets this internal clock and the degree of ‘upset’, and consequently the degree of jet lag suffered, can be measured in terms of the time change you undergo – the greater the difference in time between your home and your destination, the more disoriented your body clock becomes and the more jet lag you are likely to experience. A major feature of jet lag is seen in your body’s struggle between emotional energy and physical lethargy. Your brain is able to process and adapt to the change in time and location relatively quickly and can appreciate environmental cues such as daylight and darkness and time of day. Your body, however, will be much slower to respond. Although the time to recover will vary from person to person, it is generally agreed that overcoming jet lag and resuming a regular sleep cycle can take two or three days or, in severe cases, as much as a week. Insomnia caused by jet lag, although not necessarily serious, can interfere with mental clarity and efficiency and may affect your emotional state. Jet lag can also create difficulties for both business travelers and tourists, making it difficult to maximize the opportunities afforded by their stay. In addition, if insomnia caused by jet lag does not pass, or continues for more than a couple of weeks, it could be an indication of a more persistent and underlying sleep problem. Natural sleep remedies can be used to manage jet lag very effectively and, by taking a proactive approach, you can significantly reduce or limit the both the severity of your jet lag and the number of symptoms experienced – not to mention shortening the duration of your jet lag. Having a regular and consistent sleep schedule before you even start to make your travel plans is an important step towards limiting the effects of jet lag. Making simple dietary changes, such as the reduction or elimination of caffeine and alcohol, have also been shown to be effective, and travelers who are accustomed to coping with jet lag often take along natural sleep remedies, like herbal teas and infusions, to help induce the body’s natural sleep cycles once they arrive at their destination. It is also often thought that sleeping pills and other over-the-counter and prescribed sleep aids are also effective tools for managing jet lag. This is not the case! Because sleeping pills act to suppress the body’s immune system in order to generate a state of artificial sleep, as opposed to naturally induced restorative sleep, sleeping pills are rarely an effective remedy for jet lag. 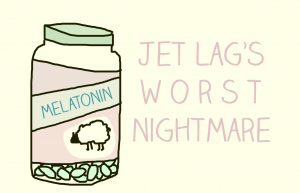 Indeed, sleeping pills can potentially exacerbate the symptoms of jet lag and delay the adjustment of your internal body clock. 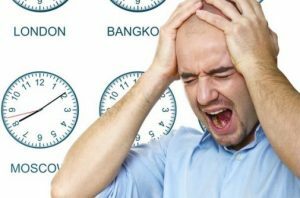 There are many different ways of combating jet lag but, whatever method you use, the end result must be a realignment of your own body clock to that of local time, if the symptoms of jet lag are to disappear. So can this be achieved with a simple pill? One of the most commonly used pills today is a homeopathic preparation containing, amongst other things, extracts from the chamomile plant and a common form of daisy. Now while homeopathic remedies have a long and well-established history, and while chamomile itself is well known for its properties in assisting sleep, it seems a little far fetched, to say the least, to suggest that taking a pill before you take off will fast forward your body clock some six hours during the course of your flight from London to Singapore. First, we have become conditioned to believe that science has reached such an advanced state today that doctors can cure just about anything and so why shouldn’t we believe in a pill to cure jet lag. Second, over the years many drug trials have demonstrated the power of the ‘placebo effect’. In other words, the simple fact that something is being done to combat a condition can in itself result in the feeling that it works. Third, jet lag doesn’t always appear straight away. We all know that a few late nights don’t always affect us immediately and that it may be a couple of days before our late nights catch up with us. Many travelers also feel fine for their first couple of days and assume that the pills must have worked. When jet lag does catch up with them, they often wrongly attribute their symptoms to any number of things including the change in climate or something they’ve eaten. Fourth, the sale of pills is big businesses and is supported by both big advertising budgets and clever marketing. This marketing extends to jet lag pills and is even supported by studies aimed at clearly demonstrating the effectiveness of such pills. The problem here is that the vast majority of the studies quoted are fundamentally flawed and lack any detail. For example, most studies involve airline crews, in particular cabin staff, who are hardly representative of the majority of the traveling public and could well be thought of as having a vested interest in promoting air travel. It would be nice to be able to simply take a pill when we board the aircraft and arrive at our destination with no jet lag. Unfortunately, at least for the time being, this isn’t possible. Preventing jet lag, or reducing jet lag symptoms considerably, is not difficult and involves some planning in advance of your trip and following a careful, but easy, plan before, during and after your flight. The one thing this plan doesn’t involve is a so-called magic ‘jet lag pill’. So-called ‘anti-jet lag’ diets have been around for a number of years now, but do they work? The diet was developed at Chicago’s Argonne National Laboratory, a US Department of Energy research center. The jetlag diet was developed by Dr. Charles F. Ehret based on his studies of the daily body rhythm (circadian rhythm). A study by Miltary Medicine on soldiers in Korea showed that using the Argonne diet reduced the chance of jetlag by a factor of seven when traveling West to East. On the return flight, East to West the effect of the Argonne diet was to reduce the chance of jetlag by a factor of 16. Like other jet lag cures, the Argonne diet works by attempting to resynchronize the body’s natural internal clock with the target timezone. It does this by means of the digestive system. Obviously, if you have special dietary or medical needs you must consult your doctor before starting the diet. One difference between the Argonne diet and other jet lag prevention techniques is that the Argonne system begins before you fly. It is therefore only of use to those who know in advance that they are going to travel and have enough flexibility to modify their behavior patterns. The Argonne Diet system essentially consists of adjusting the body clock by first confusing it then resetting it. The basic system is alternating “feast” and “fast” days before traveling. Alcohol should be avoided during this phase of the diet, caffeine restricted to a little mid-afternoon. On arrival, your body should be reasonably synchronized with the new timezone. Continue eating meals at the new times and if the Argonne diet works for you then you might avoid the worst jetlag symptoms. Perhaps the most well know anti-jet lag diet is the Argonne Diet, developed over 20 years ago in 1982 at the Argonne National Laboratory. Literally, thousands of people have downloaded copies of this diet online over the years and it is reputed to have been used by an impressive list of people including the late President Ronald Regan, the US Secret Service, the CIA and the US Army and Navy. It has also reportedly been used by the Mormon Tabernacle Choir, the Chicago Symphony Orchestra, and the Canadian swim team. When you realize, however, that the only evidence in support of the effectiveness of the Argonne Diet lies in a study conducted by the US military, this list of &’supporters’ don’t seem quite so impressive. At first sight, the US military study might appear to support the effectiveness of the diet, although the report itself, which was published in 2002, points out a number of problems with the study and says that “larger and better controlled studies need to be used to verify the usefulness of the Argonne diet”. The biggest problem with this study, however, lies in the rationale behind the study and in the group of people chosen for the study. Every year the US military deploys hundreds of thousands of troops around the world and jet lag has a significant impact upon their operations. Preventing, or at least reducing the effects of, jet lag is, therefore, something of a priority issue. But curing jet lag on a scale such as this can be a very costly business and so looking for a simple, inexpensive, convenient and readily available solution, with minimal side-effects, was absolutely essential. Not surprisingly, therefore, the US military focused its attention on the possibility of using a diet as nothing could be either simpler or cheaper to implement. A diet also represented a natural solution, without any of the emotive or medical problems so often associated with the usual pills or administering injections to large numbers of troops. Perhaps of more significance though was the group of individuals chosen for the study. Volunteers were taken from 186 National Guard personnel being deployed to Korea. Of these, 95 used the diet on the outbound journey and 39 used the diet coming home. Two questions appear to arise here. The first question is whether or not results seen in a group of National Guard personnel could reasonably be expected to be repeated in the general traveling population. I think it’s fair to say that most people would agree that this can hardly be said to be a representative sample. The second question is why only 39 volunteers used the diet on the return journey home when 95 people had used it on the outbound journey. If those using it for the deployment had found it effective then surely more than 41 percent of them would have wanted to use it again coming home. These questions are important but perhaps the real question that we should be asking is why a diet should be effective at all as a cure for jet lag. Jet lag results from the inability of your body to adjust its own internal clock fast enough to bring it into line with local time when traveling across multiple time zones. For example, when you arrive at your destination and the clock says it’s ten o’clock in the morning and time to start the day’s work, your internal body clock may still be reading three o’clock in the morning (the time back home) and telling you that you should be fast asleep. So just how is a diet supposed to solve this little problem? Well, the simple answer of course is that it can’t. Yes, what you eat and drink plays an important role in helping your body to overcome the effects of jet lag and can assist in reducing jet lag symptoms. Diet, however, is only one small part of the equation for solving the problems of jet lag and simply making a few adjustment to what you eat and drink before, during and after your journey, is not going solve the problem. Preventing jet lag by using so-called ‘anti jet lag’ diets is a nice idea, but, unfortunately, it’s also a myth rather than a reality. Despite the fact that melatonin is probably the most widely studied and best understood natural insomnia remedy, its use remains controversial; largely because it has not yet been approved for use by any regulatory body. Additionally, despite numerous studies conducted over several years, opinion remains divided over whether or not melatonin actually works. Melatonin, a hormone that occurs naturally in your body, is released into your system by a pea-sized organ in the brain called the pineal gland. This release of melatonin is controlled by your internal body clock or circadian rhythms, and melatonin plays an extremely important role in the regulation of your body’s sleep-wake cycle. With the fall of darkness your body releases melatonin to signal that it is time to go to sleep and, as daylight appears, the effects of melatonin are suppressed in preparation for normal waking activity. The primary cause of jet lag following a long-haul flight is the shift in time between that recorded by your internal body clock and the actual, or local, time at your destination. The secret to combating jet lag lies in the ability to re-adjust your body clock to bring it into line with local time and this can be achieved very effectively by taking melatonin. Melatonin can be especially useful if you are traveling from west to east. If the time difference between your point of departure and your destination is say 5 hours, your body clock will be set at 6 pm, when the local time will be showing 11 pm. In other words, your internal clock will be telling you that it’s time for you to get ready for your normal evening activity when everybody around you will be thinking about going to bed. Taking melatonin in this situation will trigger your body into thinking that it is time for sleep. In one study undertaken into the use of melatonin, a group of travelers were given melatonin supplements for the three days prior to a long-haul flight and again for three days after their arrival. All of those taking part in the study reported experiencing much lower levels of fatigue and also stated that they regained their normal sleeping pattern quite quickly. In a second study, involving twenty volunteers traveling regularly between New Zealand and the United Kingdom, half of the volunteers were given melatonin supplements before departure and after arrival and the other half of the group were given a placebo. The results of the study showed that those people given melatonin regained their normal sleeping pattern in about half the time taken by those given the placebo. On balance, it would seem that melatonin benefits a significant number of users and it would be fair to say that it is worth giving it a go. It is not of course a jet lag cure in itself and should be used as just one part of any jet lag management plan.